Super Spanish – Spain and Panama. Early Enrollment saves up to $450. The fun in our Super Spanish courses is one reason why we are able to help readers learn how to communicate in Spanish in just three days. You can see the schedule of Super Thinking + Spanish courses below. Three of these courses in Spain and Panama are offering early bird specials. Want to learn Spanish in Spain or Panama? 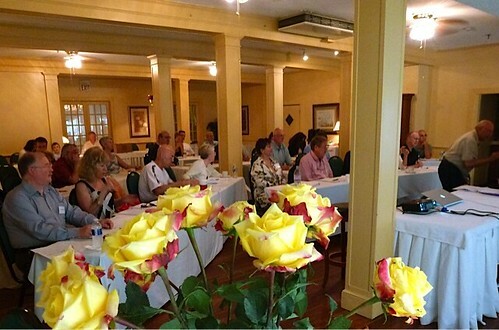 If so you can enjoy up to $450 savings on the early bird special for the first “Speak Spanish in Three Days Course” to be conducted in Madrid and Marbella, Spain and Panama City, Panama. 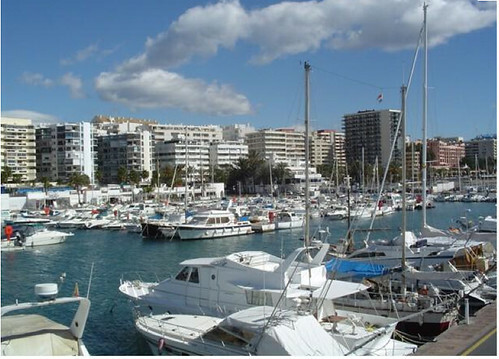 See how investors are buying Madrid and Marbella condos with 100% 40 years mortgages for below $300 a month. Madrid Spain. Value created by crisis. Or learn about Panama real estate as you learn Spanish. These are the first Super Thinking courses taught in Spain and the Super teachers who will conducting these courses are working to get the word out. The best way is through satisfied delegates. This means you can save up to $450 with an early bird enrollment. I’ll explain how to gain these savings in a moment after we review the many benefits of the Super Thinking course…. benefits that can go far beyond Spanish. This is why we have been expanding super thinking through frequency modulation courses around the world. We need to be smarter to adapt to faster changes. Frequency modulation can help us absorb… retain and recall information better and faster. We help our delegates prove to themselves that they can access incredible unused mental abilities at Super Thinking + Spanish courses which teaches delegates to communicate in Spanish in just three days. 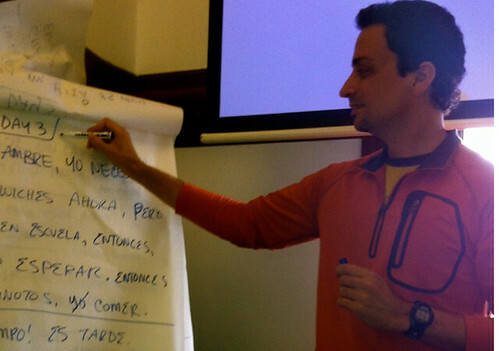 Spiro Michas taught his most recent Super thinking + Spanish course in Montevideo, Uruguay. Spiro will teach next in Spain. He wrote: After Day 1, one delegate (self-described as ” no previous ability to communicate in Spanish at all”) was able to fully express himself with the hotel staff in Spanish; as well as the taxi driver and bakery in Spanish – all in the morning before arriving for class on Day 2! We want to thank you and Gary plus all the others for making the class such a fun and rewarding experience. I took Spanish as an undergraduate and lasted two days before dropping the class due to my own anxieties. Over the years I have tried to learn French, Italian, and Spanish yet again using a variety of methods such as Rosetta Stone, Berlitz, etc. and was never successful. I finally feel like I can be successful at learning to converse at Spanish–in fact already feel successful! Thanks so much for teaching an old dog some new tricks. We’re both looking forward to continuing the learning process, having fun doing so, and taking more classes. To learn with Super Thinking is fun! In three days you solve one of the biggest communications problems that faces a great deal of the English speaking civilization. Unlock the power of your untapped knowledge. This is not a gimmick nor a trick. At least three best selling books, two from Canada, Superlearning, the Mozart Effect and Superlearning 2000 have revealed insights about how we can learn and think more powerfully based on systems drawn from the Bulgarian, Dr. Georgi Lozanov. In 1980 Superlearning sold over two million copies and showed how the Lozanov learning system blended long-tested sciences of yogic techniques with contemporary physiology and psychology so people could learn faster and better. Merri was among those few who learned and is licensed to teach the Lozanov system. She has over the last 3 decades organized a practical course on how to learn faster and better. MY COMMENT. This is why traditional Spanish courses often do not work. They create two obstacles up front…conjugation and memorization of conjugation and vocabulary. Super Thinking + Spanish avoids both these obstacles. Now let me explain why you can attend Spiro’s Super Thinking + Spanish course in Spain or Panama and save up to $450. To kick start their courses, Spiro and Robert Girga (who will teach the Panama course) are offering their first course at half price to those who will sign up early. This helps them get the correct size hotel and prepare for the delegates in advance. 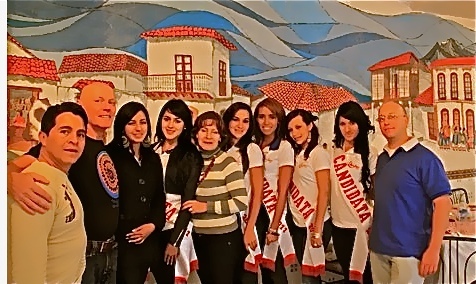 Robert Girga will teach Super Thinking + Spanish in Panama City, Panama August 15 – 16 – 17, 2012. Rob Girga (right) replaced Merri and me and taught Super Thinking plus Spanish in Cotacachi, Ecuador this year in the same hotel as a Miss Ecuador pageant. Here is Robert with the contestants. The original fee for this course was $799 for one $999 for a couple. Thousands have paid this fee. 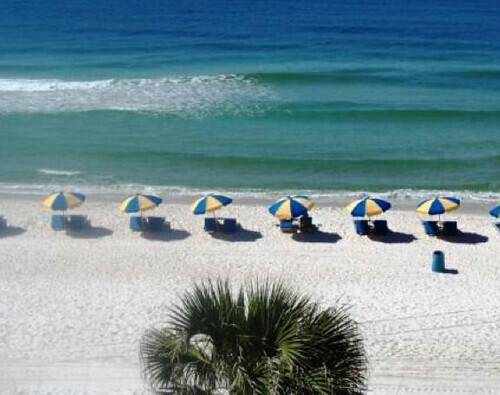 When we condensed the time to three days we also reduced the fee to $699 for one and $899 for a couple. Spiro and Robert are knocking $350 off the fee for a single and $450 off the fee for a double. Enroll with the early Bird Special before July 10, 2012 in Madrid, Marbella or Panama and save $350 to $450. August 9 – 10 – 11 Panama City, Panama . Here are what delegates wrote about a recent Super Thinking + Spanish seminar. Hi Gary & Merri – First, Merri, thanks for the great home made dinner. It was some of the best I have ever tasted. Also, thanks for the Spanish course. Merri’s technique is truly a breakthrough in learning. I believe I learned more Spanish in four days than I learned in four weeks in a previously attended Costa Rica language school. The Costa Rica school taught a very limited number of memorized words and phrases. Ted. I grew up in a very SQUARE box with loving and intelligent parents but my world remained within this box, unable to see beyond those walls, as I was never encouraged to “think outside the box”. Mike has been opening doors and leading me outside this box but because of my upbringing I have not completely embraced or understood what was beyond those doors he opened for me. As I have gotten older I have become more open to the world outside those doors yet those old tapes continue to play and I have not been able to completely release myself and experience all that can be. Another: Hola Merri Y Gary, I was thinking about you this Remembrance Day, and I went to check emails and there you are! We had fun at Disney World on Monday and sat beside several Personnes Espaniol. We could understand them however I couldn’t make sentences quickly, but could say one or two word phrases that were easily understood. We arrived home at 3am yesterday – the airlines were very late in Denver due to a crew incident. Another: Thank YOU Merri, Gary, Don and Rick for everything you have done to create and bring this wonderful experience to all of us. It takes a well sychronized team of people to put on an effective, change producing seminar! I have given many seminars and enjoyed the experience immensely. The outcome is even better! Estoy une infantil de Super Thinking and Spanish, y es possible aprender en tiempo. Another writes part of his thanks in Spanish. Gary Thanks so much for sending the course and the extra one ( that was an unexpected and delightful surprise!) It was great seeing you and Merri again and we are looking forward to returning to Mt. Dora next year. usted y Meri tengo un fantastico celabracion de la dar gracia y navidad. Of course there are few places better to learn Spanish than Spain but there are huge investing benefits there now as well. Real estate prices have collapsed and offer incredible value. Take for example a Yahoo.com news report entitled “Insight: Bank stampede keeps Spanish real estate on the ropes”. This article says (bolds are mine): Madrid – When Jose Morales travelled up from Granada in southern Spain in February to look at a new apartment in the Madrid satellite town of Sesena, he was greeted by long queues of mostly young people outside the sales office. “When the door opened, there was a stampede to get in, like a department store sale, and some were even injured in the dash,” said Morales. The apartments were selling so fast, unseen by the buyers in many cases, that he missed out on the one he wanted. Such extraordinary scenes are, paradoxically, evidence of the desperate weakness of Spain’s property market after the crash of 2008. Banks trying to offload billions of euros of property left on their hands by bankrupt developers are selling new apartments at rock-bottom prices with bargain-basement mortgage deals. Santander, the euro zone’s largest bank, was responsible for the frenzy in Sesena. It offered two-bedroom apartments around a communal swimming pool for 65,000 euros ($86,100), with 100 percent mortgages over 40 years, costing as little as 242 euros a month to service, about a sixth of the average Spaniard’s monthly income. A condo in the capital city of a European nation for less than $300 a month is incredible value so come to Spain learn to speak Spanish and see Spanish real estate at the same time. One of our delegates had been searching for a condo in Marbella for years and he just bought one. He explained that the recent Euro crisis has created enormous Spanish real estate value. To help delegates who attended his course, Spiro has set up real estate contacts for delegates so they can efficiently look at real estate while attending the course. To kick start this process Spiro is is offering this first course at half price for those who enroll before July 10, 2012. The normal fee for this course is $699 for one $899 for a couple. Thousands have paid this fee. Spiro is knocking $350 off the fee for a single and $450 off the fee for a double. 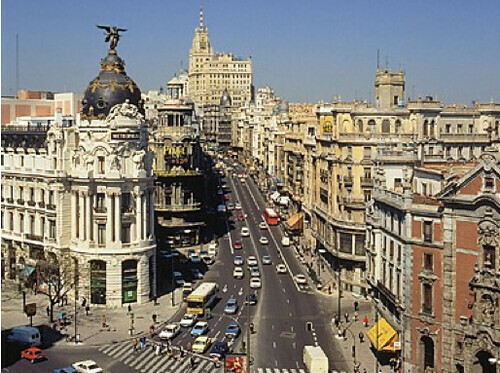 Enroll in Spiro’s early Bird Special before July 10, 2012 in Madrid or Marbella and save $350 to $450. Another emailed: Dear Gary and Merri, We so enjoyed the language class last weekend at Mt Dora! Another a dentist said: I was so delighted with my experience at the Spanish training. I felt more confident of ability to pronounce Spanish than I ever was of French or German. Funny… I did not think I remembered any French or German but when I cannot remember the Spanish words the German and French popped up. Practicing my pronunciation made my trip home go faster. I never enjoyed pronouncing either of the other two, but this was fun. It is hard to fall asleep at the wheel when you are moving your mouth to speak Spanish. It does work your mouth in a different way. I realized that you have to say each syllable slowly and correctly (until you get it perfectly) and when you do it is impressive. Enroll before July 10, 2012 in Madrid, Marbella or Panama and save $350 to $450. This special offer ends July 11, 2012. Super Thinking + Spanish teachers are independent businesses who have been trained to teach Super Thinking + Spanish by Gary & Merri Scott. By using this site, the teacher warrants that he or she will teach the Super Thinking + Spanish as taught by Gary & Merri Scott. No other endorsement, warranties or guarantees are made. August 9 – 10 – 11 Panama City, Panama (Teacher Robert Girga). See details here. October 24 – 25 – 26 Panama City, Panama (Teacher Robert Girga). Dec. 3 -4-5 Panama City, Panama (Teacher Robert Girga).